Use our services and make your holidays an experience that you will never forget ! Our experienced driver will make your transfer from and to the airport, marina or the port a beautiful journey ! Make your booking. 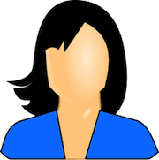 Contact us via email, or telephone and tell us what you want. We will satisfy your request on time. 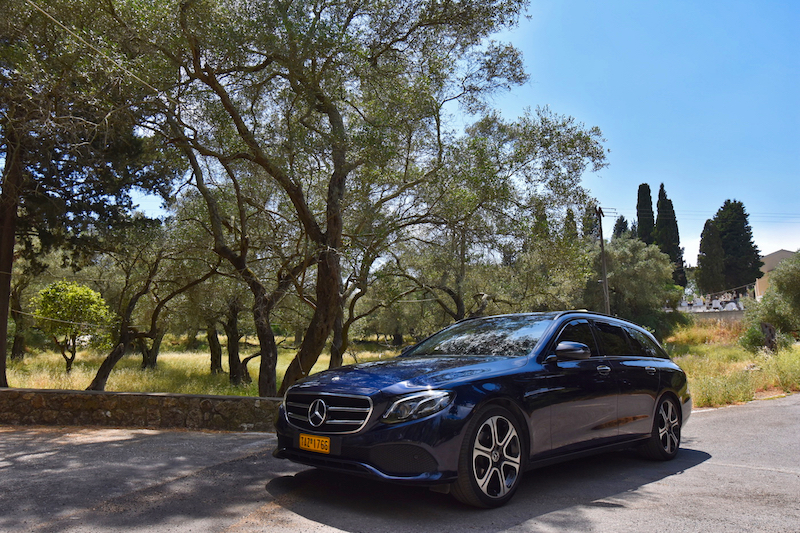 Our taxi Corfu services are available from any place in the Island of Corfu, including the Airport, Port, Marinas and all Hotels of the island. At Taxi Corfu we try to keep our customers happy with the quality of our services. 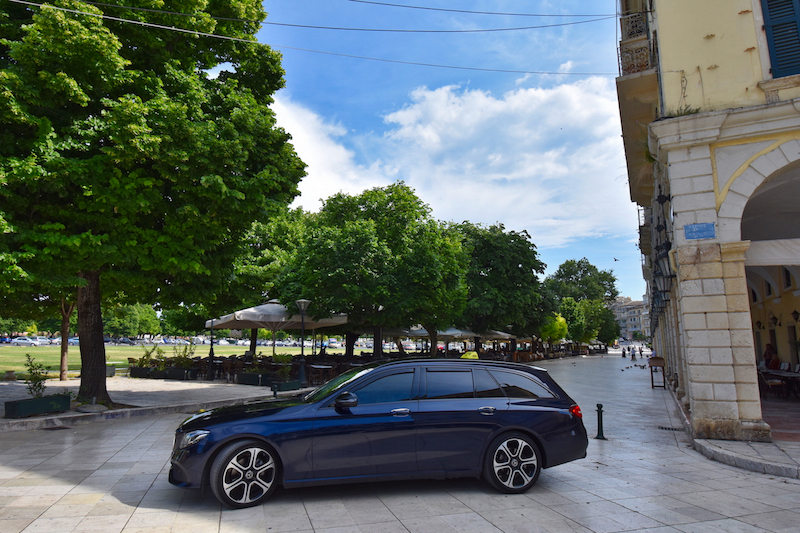 Safety, punctuality and neatness describe Taxi Corfu Services. 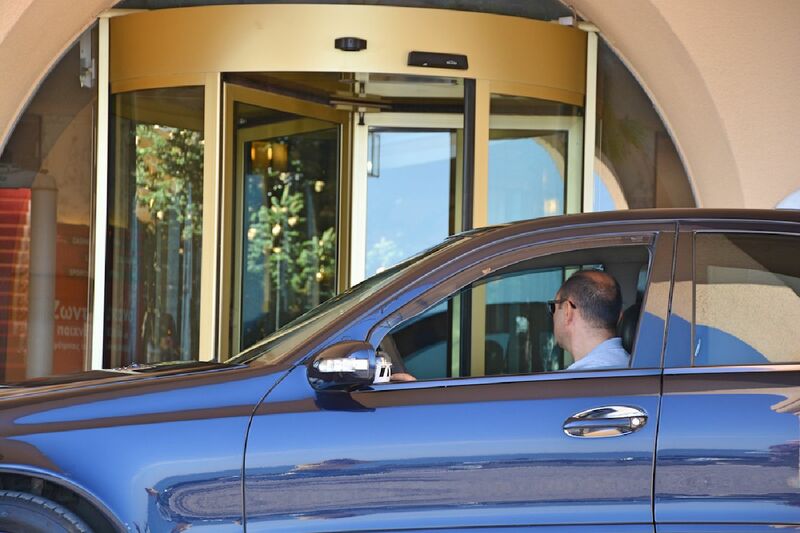 Our driver speaks fluently English and is able to communicate with you in many European languages as Italian. This our promo video and includes the most popular places to visit in Corfu Greece, always with the professional Taxi Service from Taxi Corfu. 1. Send us an email or telephone us in order to give us details of your flight, vessel, cruise ship or yacht arrival. Stay focus on your holidays only! 2. 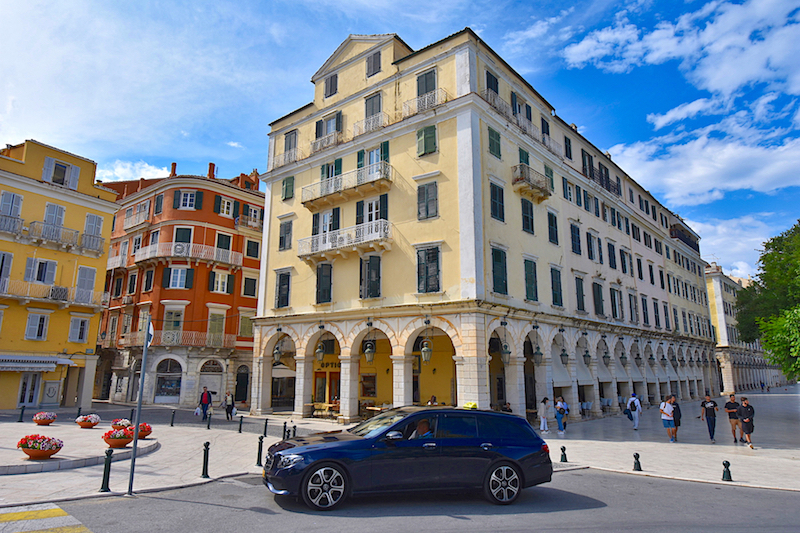 Taxi Corfu will arrange everything that you may want from our taxi services. Stay focus on your holidays and leave everything else on us. 3. 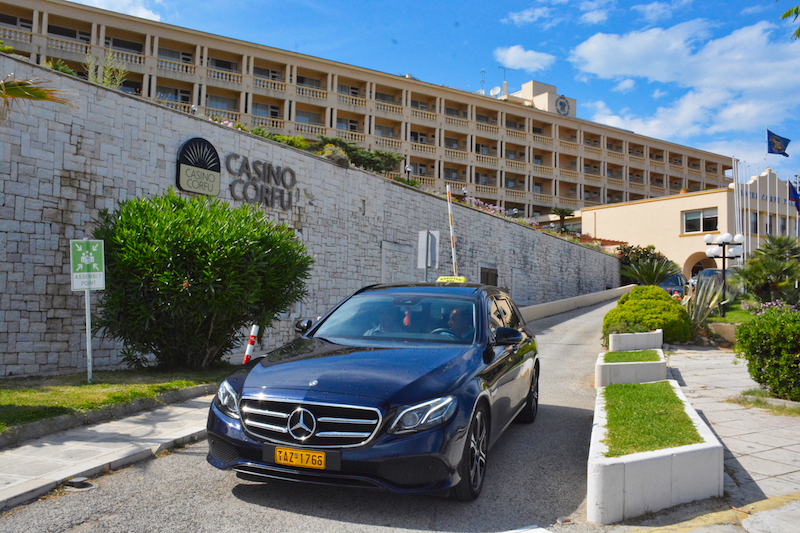 Our main interest is that you will feel safe on Taxi Corfu. Our driver is experienced and will take you to your destination fast and safe..
Any time in the future! 4. We will be very happy to hear from you any time in the near future and we will be more happy to see you again next year! . Our Taxi is equipped with latest technology GPS service. We guarantee that we will take you to your destination through the easiest and fastest way. Our car is extensive service every 20 days during summer period. With new tyres every summer. One of the main advantages of Mercedes E270 elegance is the size of it's trunk. 540 lt for your luggages. Nikos Doukakis Born in the island Corfu Greece has been a professional driver since 1999 ! He continues the family tradition of Taxi drivers since 1965 ! "During summer period I enjoy giving my best to my customers cause I feel like representing all Greeks"
If your flight is landing in Corfu and it is your first time in Corfu, you will feel at ease knowing that a friend will be waiting for you at the airport. Don’t worry even if your flight is delayed. We wait for you by the arrivals area holding a sign with your name on it. All of them with no extra cost! If you are on a business trip and need a taxi for the day to drive you to different places and wait for you, we will make sure our driver waits for you to call him, no matter the length of your meetings. If you have extra time before your flight, do a mini tour of Corfu with us. We will arrange everything! We will take you to the best places in Corfu Town, and then take you to the airport where you can catch your flight. 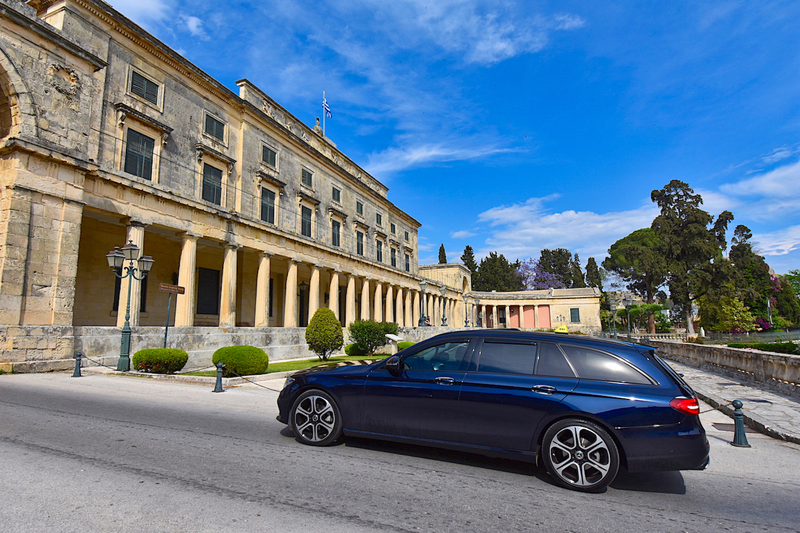 If you arrive at Gouvia Marina, or Corfu Port with your yacht, the cruise ship or the Igoumenitsa Ferries our driver will be waiting for you. Even if you will delay we will be on the Marina or the Port holding a sign with your name on it. 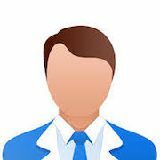 Feel free to call us anytime to give us update of your trip. Get in contact with us and tell us what you would like to see in the island of Corfu. We will make a personalized tour and you will be able to visit our Museums, Beaches, Castles or even see the best Sunset in Corfu even in one day! Our prices are excellent and we will wait for you at the exit of each attraction in order to take to the next one. If it is your first time in the island let us guide you through our best places by just telling us, your wishes. Middle east Corfu, Agios Gordios, Glyfada, Kontogyalos, Achilleion, Mpenitses, Corfu old Town! Just 15 km away from the airport or Corfu Town. Τhe small village of Agios Gordios is surrounded by green olive-clad mountains that lead down to a long golden sandy beach with crystal clear water. At the village you can find everything you might need. There are many hotels, apartments, studios, restaurants, bars, shops, supermarkets and all the kind of services. The most beautiful beaches near Corfu Town ! Kontogyalos and Glyfada are the most popular beaches near Corfu Town. 12 km away from the airport you will see the most beautiful sunset in the traditional village of Pelekas. Achilleion (15km from Corfu Town) is a palace built in Gastouri, Corfu by Empress (Kaiser) of Austria Elisabeth of Bavaria, also known as Sisi. Make your tour to these magnificent places with us ! The city of Corfu stands on the broad part of a peninsula, whose termination in the Venetian citadel is cut off from it by an artificial fosse formed in a natural gully, with a seawater moat at the bottom, that now serves as a marina and is called the Contrafossa. Walk throught the small roads (kantounia), visit the Old Palaces and its gardens and visit St. Spyridon Church! After many years of using our Taxi Services our customers are now our friends..